I usually don't run the day after Volleyball because my legs are generally trashed. So I went for a 5 mile "Recovery Run" yesterday. No time in mind, just running for fun. It was a nice day. The only thing of note was a VERY strange. It was sunny and probably around 50's, I felt warm for most of the run. As I turned a familiar corner I got COLD and could see my breath?? For the next 100 yards I was freezing. It was like in Harry Potter when the Dementors come. Then it was gone.. Hmmmm Ghost of the trails, leave me alone, I am trying to train for a Marathon here!! Welcome to Test Lab Tuesday! The day I dedicate to all things I review.. Many many people have told me how fun this game is and boy were they right!! When I was younger I would spend hours playing old school Mario on the box Nintendo. Remember back in the day when you could go one direction, had a time limit and when you died you had to start over?? This game has some similarities, so I can play!! My only gripe is I push down too hard with my thumbs so it gets sore :) Out of video game shape I guess. -Top Pancakes, waffles, cereal or oatmeal with sliced fruit, dried fruit or mixed berries. -Make a smoothie by blending fresh or frozen fruit with milk, soy milk or yogurt. -Add onions, peppers, spinach, mushrooms or tomatoes to scrambled eggs or an omelet. -Add dark leafy greens, tomatoes, onions, peppers or avocado to sandwiches. -Enjoy Vegetable soups like bean, lentil, tomato, split pea or butternut squash. -Include a colorful salad with a variety of greens, beans and vegetables. -Add pureed vegetables to soups, pasta sauces, or casseroles. -Add lots of colorful vegetables to pizzas, wraps, or burritos. -Stir-fry a mixture of vegetables with lean meat or tofu. -Buy pre-cut veggies like broccoli, cauliflower, baby carrots and snap peas. -Stock individual servings of canned peaches, pears or applesauce at work. -Carry small zip-lock of dried fruit in your purse, briefcase or gym bag. I was sent the prototype of the Green Silence shoes to test. The first thing I noticed was how light weight the shoes are, feels like wearing slippers. These are for sure racing shoes. With all the talk about barefoot running lately I think Brooks may be on to something. I plan to wear the Green Silence for 5K's and not too often for training. Funny story, I wore the shoes to Fleet Feet to buy my Marathon training shoes. The guy helping me was ready to steal the shoes off my feet he was so excited.. My only gripe is the McDonald's color does not match with much, but trust me I will have a race outfit to match come summer. ***BONUS: 75% of the shoe's materials are post-consumer recycled. I love love the GREEN aspects of this product. To find out MORE about Green Silence click HERE. Safety should be one of the first things runner's think of when they head out the door. If the worst should happen how would my family know? Road ID has created a simple way to wear product to give athletes a name on the road. With wrist, ankle and shoe options, there is a product for each of us. I have a pink wrist ID that I won at a race this summer, I LOVE LOVE that this piece of gear can be customized to fit what I want. Yes I put my safety info, but the last line I had room for something special so engraved the words "Always With my Boys." I was recently sent an ankle ID to test and I am very excited!! 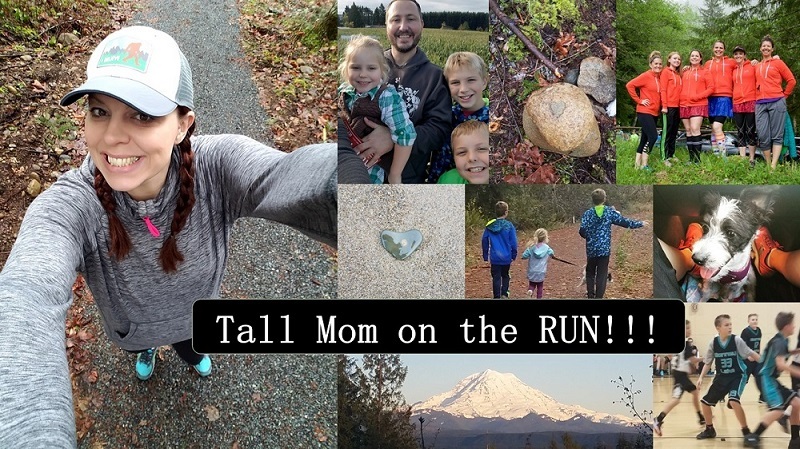 If you have a product you would like to see featured on Tall Mom Test Lab Tuesday please email me tallmomontherun (@) hotmail. Question for the day: What do you eat the night before a long run or race? and Why? Answers may be featured in Test Lab Tuesday next week. Check out my blog (myfirst5k.wordpress.com), I tagged you to receive a new award. And the answer is pasta! We have Super Mario Brothers, but I never get to play it! Boys! So funny, we have the PS3 (hubbs gave me it for xmas, lol!) and my thumbs hurt, too! I love sneaking in veggies to everything...I'm already not a big meat eater but I find myself sticking the same stuff all the time - hiding fruits and veggies in there makes it more fun! I usually eat veggie pizza the night before a race or a long run. But believe it or not, I also like to eat Indian food, too! Lots of rice and chicken is mainly what I go for - but it seems to work! Hahahahaha! All the Mario Brothers games rock! My boys love them. Not so into the colors on those shoes, but glad they are working for you. Cool speedy-looking new shoes. Agree with you on the yellow but I think you can work with it. :-) Thanks for the veggie tips too. Sometimes its hard to get in 5 servings (5 is a lot!!). I have a Road ID and definitely agree that everyone should have one; its a small price for the peace of mind. Would love for you to do a review on "recovery" or compression socks. Pre-race meal? Hands down, pasta. I love your test lab...very interesting and useful. Hmmm...have to check up on those shoes. I like speedy! I eat a big meal the night before a long run. It almost always involves rice of some kind (I am a HUGE rice eater) and also veggies and lots of protein (chicken, beans, etc). Wow - fancy shoes! Glad you are enjoying them! I can't wait to read what everyone eats before long runs/races. I am needing some ideas myself! do you play vball year round??? that is so awesome you keep up with that. seriously for being a full time mom and having a very hectic full time job AND being a full time runner, you managed to keep vball in your life! and you rock it out there, too :)i'm hoping to play bball this spring! Cool stuff, I still gotta get one of those IDs. It'd be a good idea to have one since I run so early in the mornings. I just eat a normal meal the night before. But, I'm still trying to figure things out when it comes to eating and running. About 30 min before the run I eat a package of instant oatmeal, it seems to help. The same thing happened to me on my run! It was warm, then I turned a corner and it was at LEAST 15 degrees colder! It was really strange! I love Brooks shoes! I have the Racer ST and they are awesome! Also, a Road ID is a must! Whether you are biking, running, hiking, or whatever, it's a simple thing that could potentially save your life. I have the ankle one and wear it all the time! Pre-race meal: Past is always an easy option, but what I really love is brown rice, steamed veggies, and grilled fish (halibut/salmon). I am now a semi-vegan/vegetarian so we don't eat a lot of fish anymore. However, I will still eat my fish before a big race! Those are some great fruit & veggie tips... how cool that you got a handout at work! LOVE the Brooks kicks... very flashy and I'm sure they will make you GO FAST(er). Fave pre-long run/race dinner is whole wheat pasta with veggies sauteed in some olive oil and balsamic vinegar... yum yum! But any kind of pasta makes me happy! Before races I always eat the same thing, thin pasta and plain red sauce (no meat) and two pieces of bread. Lots of water =). Super great test lab! I love my pink RoadID too! pre run/race food - almost always cereal with lots of milk. It's yummy and I know it won't repeat on me! My 6 year old is obsessed with Mario Brothers-only he just wants to watch me play! It is a fun game. I just beat it last week, and then they have a secret extra world. Dangit. The shoes look fast, but agree-the colors could use some work. Not a fan. I like how you "reasoned" with the ghost. I'm sure he/she understands about the training. LOL! That cracked me up! that is such a great question to ask about pre-race meals! I am going to need ideas! and the shoes, as soon as I saw them I thought of Mcdonalds! I hope they can come out with some other fun colors, like hot pink and green would be awesome! The night before a long run, I've fallen into the habit of sushi. My long runs are on Sunday, so Saturday is the day for chores and errands and since I love sushi it's been a way to reward myself for doing all the (usually) boring stuff. The day of the race has always been a 100 calorie granola bar. As I up my miles, however, I may need two of these since I've been getting hungry in the middle of the run! Before a long run or race, I eat a salad. I mentioned this in a post recently. It just always worked out that way during my last marathon training, and it always seemed to work for me. So I will probably stick with it. This reminded me to get RoadID!! Thanks! We have that Mario game on DS and I love it!! I am much better at it now than I was as a kid. LOL! I really need to order a Road ID. I think I'm going to put that on my birthday gift list! My pre race/pre long run night before meal is veggie pizza (homemade if we're home). I seem to do well with it, not sure why. I do not stray. its tuesday already? where does the time go?? i like to have a bigger lunch the day before a race. maybe some lasagna and a salad and some bruschetta!!! I am terrible and make little effort to eat well the night before a race. I am better if it is a marathon but other than that I am not great. In my last year of college, while running track I ate steak with potatoes and veggies the night before races. I also ate pineapple because its supposed to help your muscles heal and reduce inflammation. Those brooks shoes look sweet! I am sure you will fly in those for your 5k! Cold spots like that weird me out. I've noticed that if I change just a little in elevation can really affect temps when I run too. I've been wanting to get that Super Mario Bros game . . . also still haven't bought Mariokart. I like to eat pizza the night before my long run - usually with chicken on it. 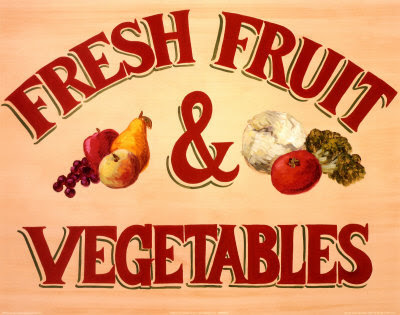 Great advice about the fruits and veggies! I am in desperate need of both. 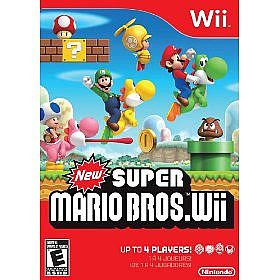 And I totally forgot they were making a Super Mario Brothers for Wii....I'm am super excited! I think I might have the boyfriend buy it....or I might take his wii because he NEVER uses it, I guess ps3 is better. OH, I love the new Wii Super Mario Bros. I bought it for my husband for his birthday last month, and it has been a hit in our house for sure! I already have the Road ID and love it! Best investment ever.